I have always loved a classy tailored "Audrey Hepburn" type look, but am never able to find ones that I like! With online shopping now I find it so overwhelming, don't you! I seriously spent about 2 hours straight online this week looking at all my options for coats. Should I buy it online? What if I can't return it? What if the sizing is wrong? If it ships internationally, it will be more expensive to return! So many variables. I finally settled on two coats that I love, both from Zara! I do like Zara, I feel like it has waves of things that I like. Many of the coats online looked very masculine (shoulder pads are back, hi 80s, but this time not removable, sorry 1980s) but that seems to be the style these days. 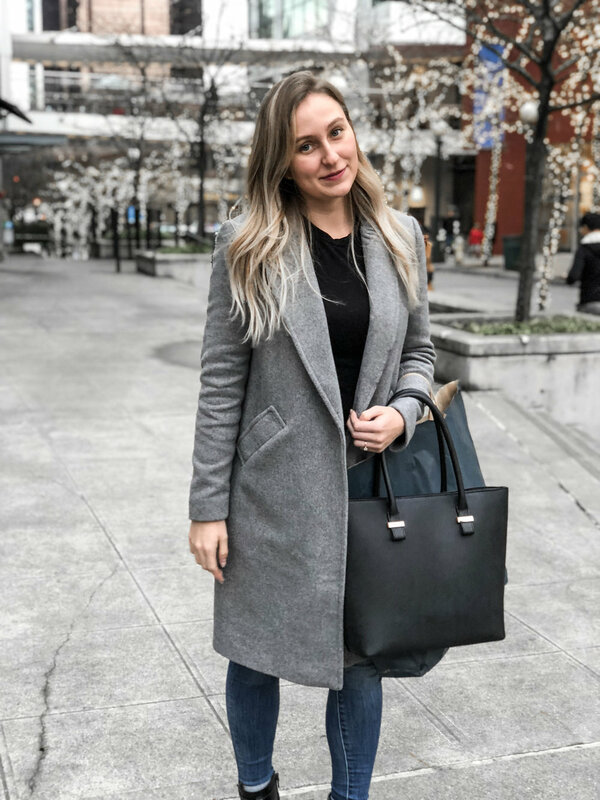 I originally bought a darker grey coat, but then went back for a lighter one just to keep it bright mostly because it's winter and we need some brightness! I love these both, I feel like they can be fancy and casual no matter what the occasion. I've linked them below, enjoy!